Discover Canada, a land of incomparable beauty, urban pleasures and historic fascinations. In California Tours’ three Canada Vacation Packages, you’ll experience the country’s most breathtaking regions – Vancouver; Montreal and Quebec; or Toronto and Niagara Falls; and nearby scenic highlights as well. 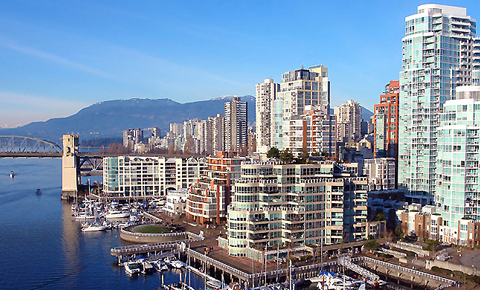 On the western shore, although the waterfront scenery alone is worth the visit, the city of Vancouver rocks with a plethora of urban delights like shopping, art galleries, and public art. A short drive north, taking in the Sea to Sky Highway’s ocean views, brings you to the quaint resort town of Whistler, and Shannon Falls. One can see why Vancouver is highly ranked as a place to visit. In eastern Canada, history buffs and romantics will step back in time in Quebec City, one of the oldest Canadian cities. Fortified walls, Old Town, the Plains of Abraham, and the famed St. Lawrence River tell stories of early French settlers and battles between the French and the British. If you’re looking for urban buzz, Montreal and Toronto have plenty. Called the “city of festivals,” Montreal’s exceptional cuisine, dramatic architecture, and international jazz and art festivals make for pleasing days and nights. 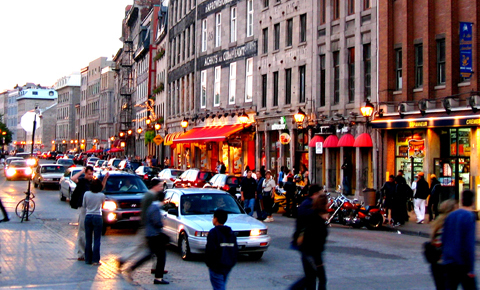 In Old Montreal, the 17th century French colony’s cobbled paths, colonial mansions and Victorian street lamps illuminate another era, while modern skyscrapers hang in the backdrop. Toronto is Canada’s largest city, operating as the country’s financial nerve center and cornerstone of the film and TV industries. In recent years, it has grown into a hip destination with a dynamic nightlife and a food scene that rivals New York City. And for a change of pace, visit Niagara Falls and quaint Niagara-on-the-Lake. 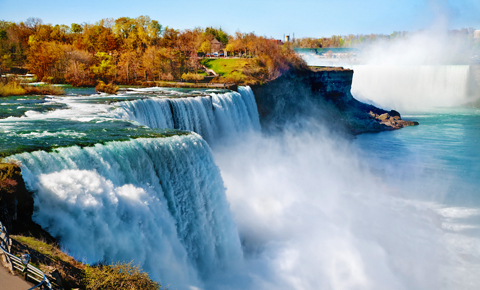 If time and weather permit, you’ll see two faces of the thundering falls, both American and Canadian. If you did have to choose, the Canadian side has the better views, and even Americans agree on this! Our three Canada Vacation Packages are designed for independent travelers wanting to visit Vancouver, Montreal, and Toronto and surrounding areas of distinction. Starting with four to five days in length, each itinerary can be configured in any order and customized to any length to suit your needs. For each vacation, you may choose from the Classic Package, offering a thoughtfully planned, comfortable, and comprehensive experience, or a Deluxe Package, with additional options and upgrades.